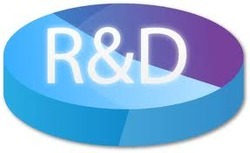 For being in the sync with the changing market trends, we have established a separate R&D department. This dept. is run and maintained by our R&D experts who make it a point that we come up with improvised range of Iron Oxide Red, Iron Oxide Black and Iron Oxide Yellow. All the machines and tools required for carrying our R&D activities properly are fitted at this unit. Further, our professionals keep a close eye over the changes happening in the market and adopt latest technology that not only helps us in improving the quality of our pigments but cutting down our production cost as well. For effective management of the inventory, we have established a huge warehouse, this warehouse is segregated in various section to store raw material procured from various sources as well as the final range of Iron Oxide Red, Iron Oxide Black and Iron Oxide Yellow. We also have a packaging department where in our experts make use of the high quality and degradable packaging material for making sure that our clients receive the ordered consignments in safe conditions. We have latest transportation and logistic facilities to make sure that all the consignments that have to be delivered reach to the client’s end in stipulated frame of time. The firm is backed with a state of art infrastructure that facilitates it to offer supreme quality products. The sophisticated infrastructure of the firm consists of various departments that enable to maintain the quality standards. We are facilitated with a warehousing & packaging unit, which is fully furnished with modern tools. Our infrastructure is segregated into various units, enabling us to process offered iron oxide and chemicals compound effectively and deliver these within the limited time frame to the clientsend. The infrastructure is spread across a large area.